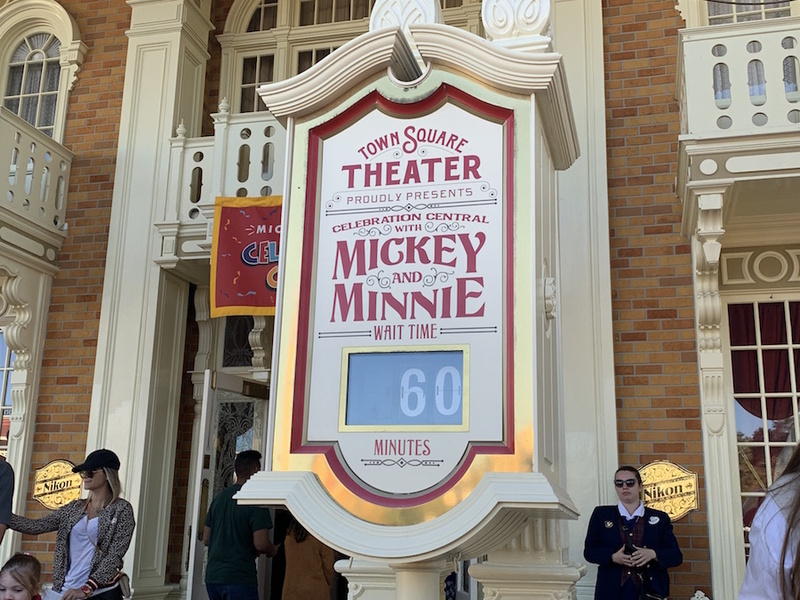 As part of Mickey and Minnie’s Surprise Celebration, the iconic duo now have a meet and greet together at the Town Square Theater in the Magic Kingdom. 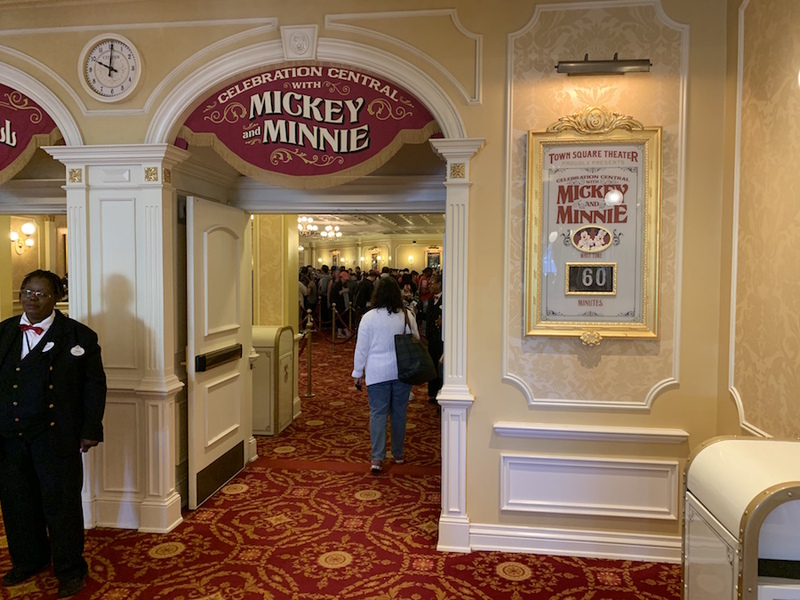 The new meet and greet was incredibly popular on its first day, as FastPass+ reservations were completely booked, and the wait time was around an hour for most of the morning. 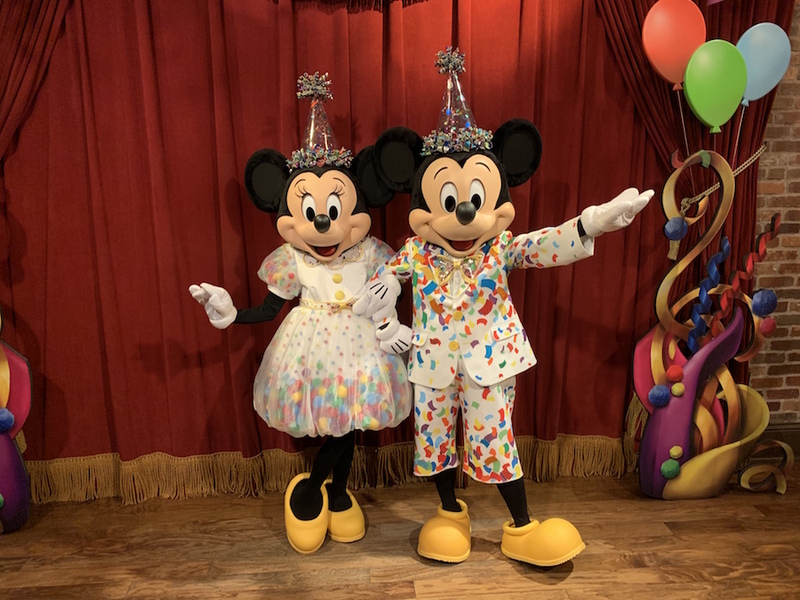 Mickey and Minnie were rocking their new polka-dotted suit and dress, that are both featured in the new Move It! Shake It! MousekeDance It! Street Party. They were also wearing sparkly party hats! Some colorful ribbon hangs from the ceiling above Mickey and Minnie, and facade cutout balloons and ribbons are featured on both sides of everyone’s favorite mouse couple. 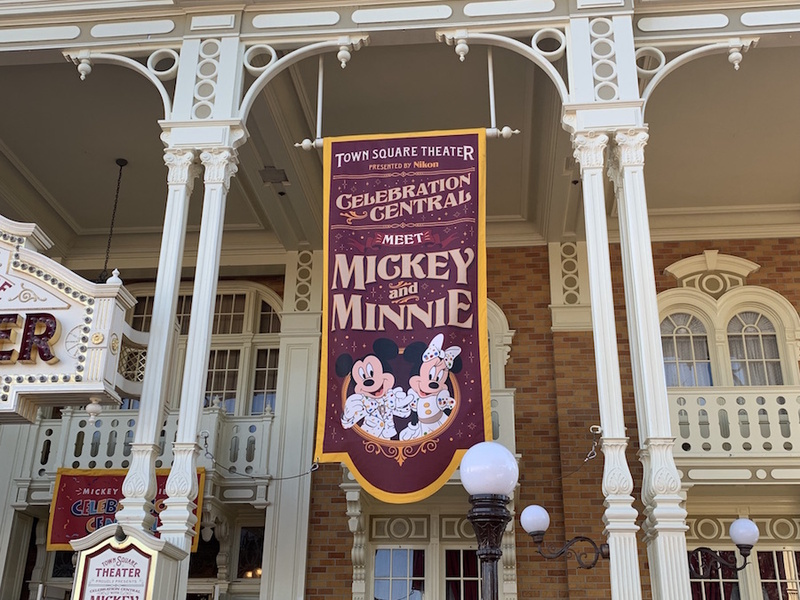 Talking with a cast member, she said at this time there isn’t an end date for Mickey and Minnie meeting together in this location, but the decorations certainly seemed temporary.